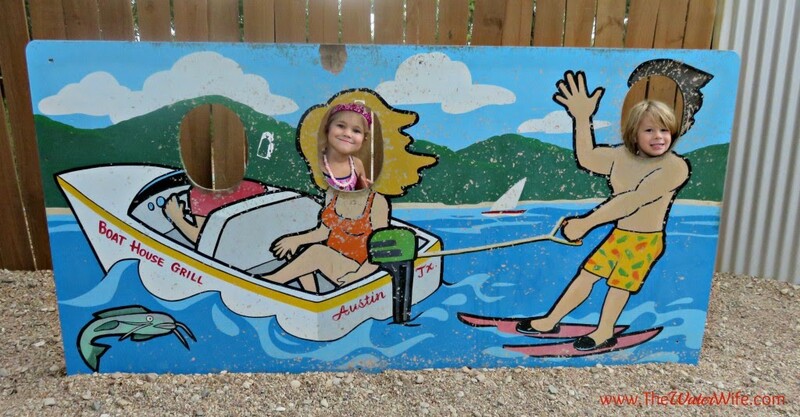 Today’s post on Lake Travis’ Best Family Outdoor Dining was written by our newest contributor, Chrisi. 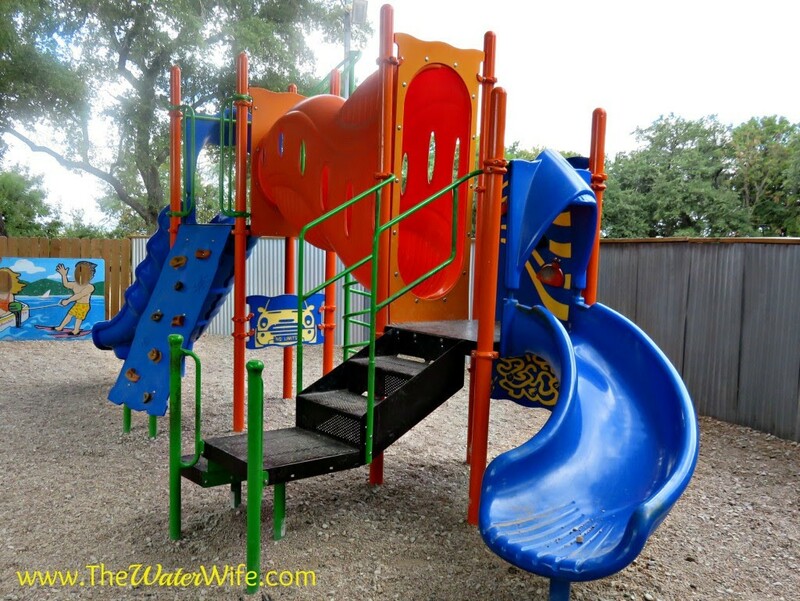 Make sure you read her previous post on 7 Secrets for Conquering the World and check out the humorous tales on motherhood and life over on her blog, The Water Wife. Most nights I do the cooking at our house but we love to go out to eat! We are always looking for great restaurants that are family friendly. And lets be honest, we can please everyone if that includes a playground! There are some terrific local choices but we usually end up at one of Lake Travis’ Best Family Outdoor Dining options, the Boat House Grill! 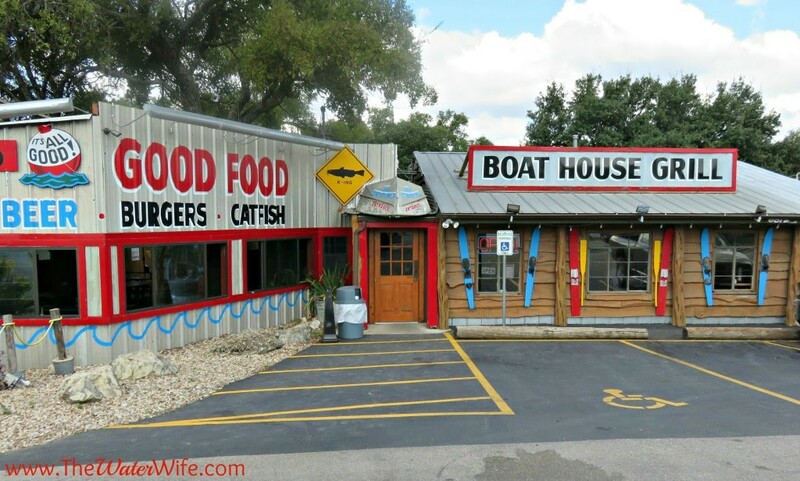 The Boat House Grill has been a hometown favorite in the Lake Travis area for years! 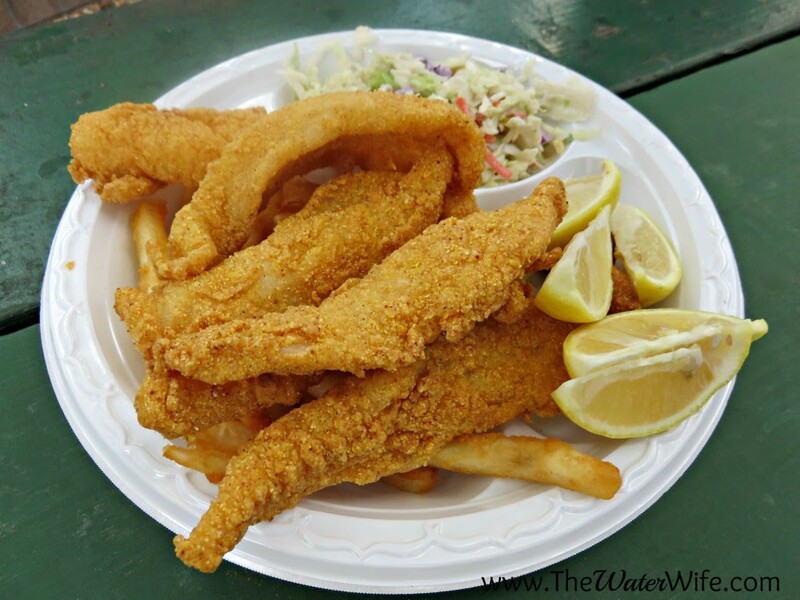 Located right off FM 620 near Four Points and 2222, they are known for their delicious fried catfish, laid back atmosphere and affordable prices. You really can’t go wrong for lunch or dinner any time of the week. We’ve been so many times, we’ve tasted just about everything on the menu! The relaxing and casual dining room is full of vintage lake memorabilia and the indoor/outdoor seating area is perfect if you want to be close to the live music every Friday and Saturday night. Our favorite place to sit, of course, is at the picnic tables surrounding the playground! On the weekends you can usually find a balloon twister to make your favorite animal or super hero and kids eat free every Wednesday! The playground is fantastic, it is completely covered and even on hot summer days there’s a breeze to be found and shaded tables! 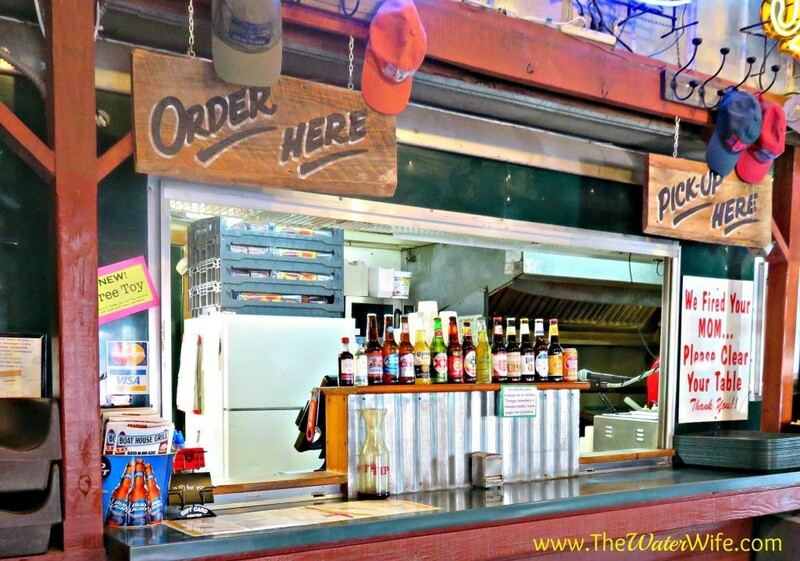 While we’ve sampled most of the menu and they are known for their delicious burgers, sweet tea and cold beer, my personal favorites are the boat house salad with fried chicken or shrimp, the fried green tomatoes and of course the Catfish Toes! My mouth is watering just thinking about that catfish, it’s always crispy and fresh! Boat House Grill is open daily so you can always satisfy your craving for scrumptious southern eats! Order your chicken fried steak and apple pie right at the counter! The service is speedy so this is a perfect stop on your lunch break too! Whether a quick lunch stop or take-out, a play date meet up, casual date night or family fun, the Boat House Grill has something for everyone! We adore this tasty little dive and know you will too! In fact, I think I know what we’re doing for dinner tonight! Give them a like on Facebook to be the first to know the weekend music line up and drop by their website for hours and location. We’ll see you there! What’s your pick for Lake Travis’ Best Family Outdoor Dining? Don’t forget to check out The Water Wife blog and follow Chrisi on Instagram, Pinterest, Facebook, and Twitter!